Seven protesters have been detained in Moscow for holding a demonstration against a law which prohibits homosexual men from giving blood. 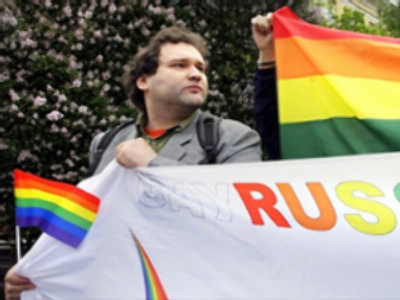 A doctor at Russia's health ministry claims that the law banning gay men from giving blood exists for a good reason. “The fact is that this part of society is considered to be at risk of sexually transmitted infections and when they passed this law they were thinking about those people who are infected and only about these people,” explained Sergey Oprishenko, a doctor from the blood donor centre. Alekseyev added that the protest was in no way connected to politics or the inflammatory Gay Pride parade, which takes place in Moscow every summer. He insisted Friday's action was meant only to show the discriminatory nature of the law.